3 years ago almost to the day, Darina, Whipping Girl and myself had a great meal at La Regalade. The large country-style offerings were both filling and delicious. We vowed to eat there again soon. Well, Darina and Whipping Girl each went back while I didn't actually return due to a variety of reasons (including the price!). Well, with a Travelzoo voucher, it was finally the time. Ironically, Whipping Girl and Darina joined me again for this food adventure. Choobee was added to the mix despite her dislike of driving anywhere beyond a 10-block radius of her house. Not surprisingly, our usual favourites were still on the menu, however, the appies were a bit different. Whipping Girl pushed for the Salade Regalade with prawns, calamari and bacon. 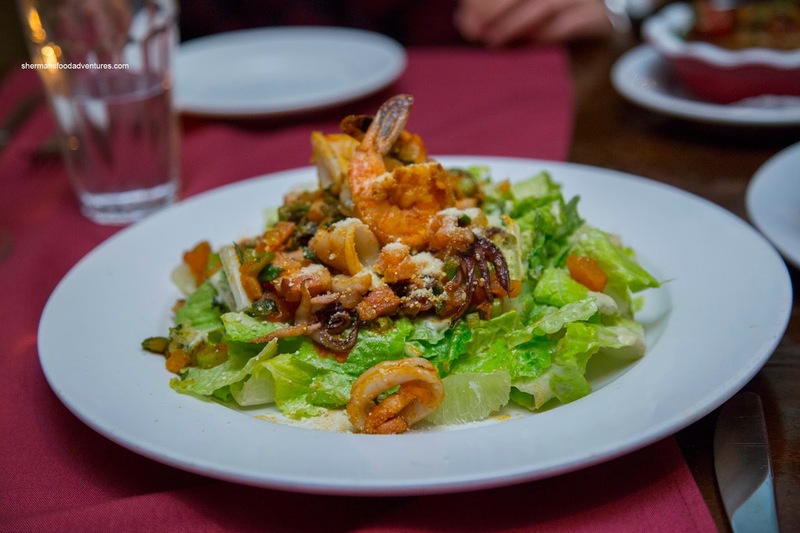 Well, it was essentially a warm salad with a savoury mix of bacon and seafood atop romaine lettuce. I though the flavours were almost zesty, yet in need of more acidity. The seafood was on point with the calamari being tender while the shrimp exhibited a meaty snap. Another Whipping Girl request was the Steamed Mussels in a white wine, onion and light cream broth. Personally, I thought there was far too much onion where it was the dominant flavour. On the other hand, it provided a wealth of natural sweetness. 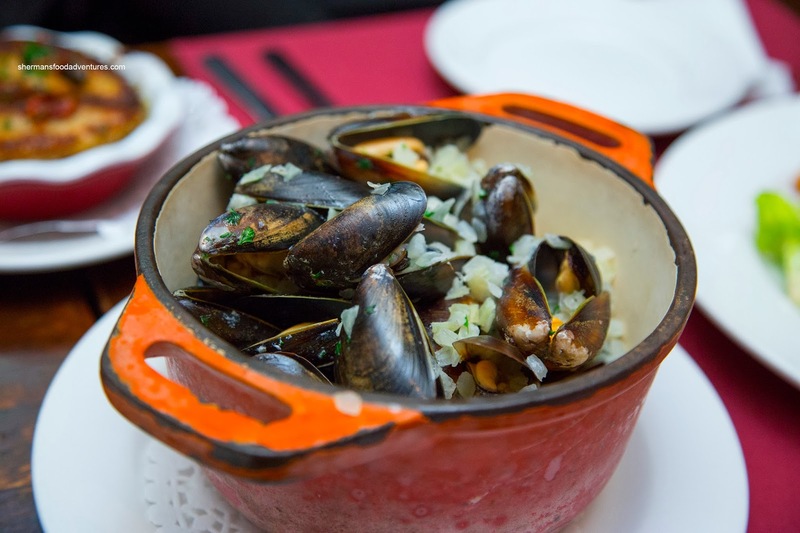 The mussels themselves were buttery and plump. 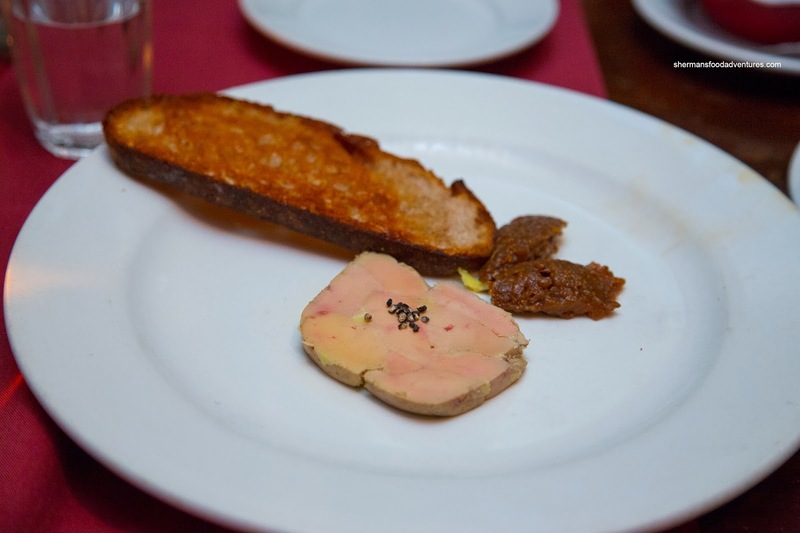 Onto the next set of appies, we had the Foie Gras Terrine served with crostini and fig compote. The slice of terrine was buttery and smooth in a non-livery fashion. It was well seasoned where the fig compote provided the necessary sweet contrast. We could've used more bread though. 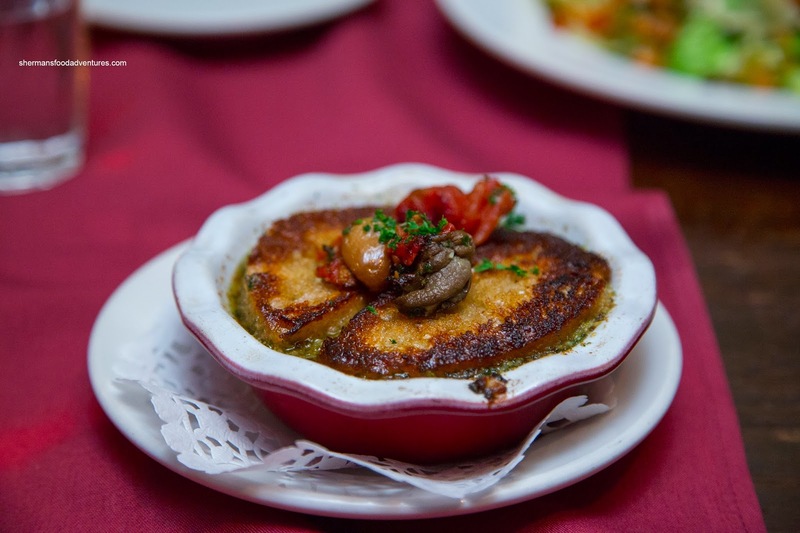 Next, we tried the classic Escargots en Crouton. The plethora of butter, garlic and herbs ensured the crunchy crouton would be soaked in greasy goodness and flavour. Definitely a sinfully tasty treat which was enjoyed by all. The snails underneath were soft while maintaining a chew where the buttery goodness was nicely accented by sweet tomatoes. Onto the mains, we had some eerily similar dishes as last time. Beginning with the Roasted Duck with Sauteed Fruit, it looked appreciably smaller. Despite that, it was still not a "small" dish by any stretch of our imagination. 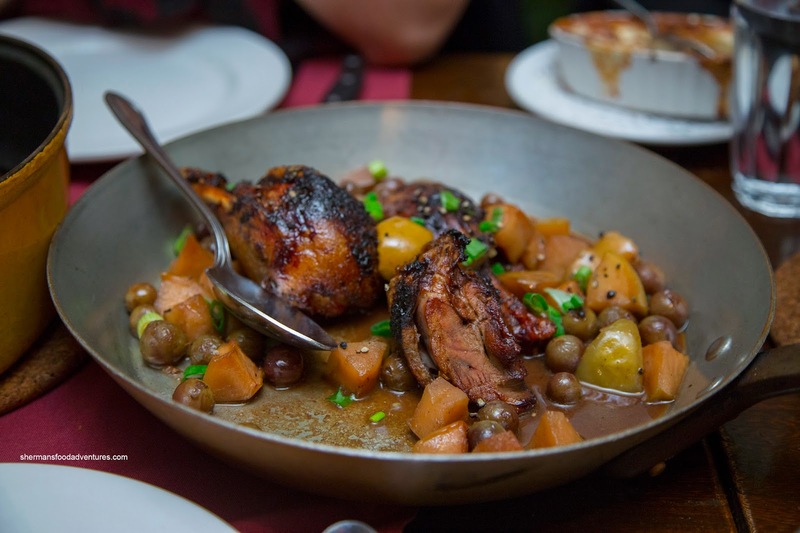 The duck itself was the beneficiary of a well charred and rendered skin which was smoky and crisp. However, the duck meat was on the drier side. It did have a natural duck gaminess which was accented nicely by the sweet fruit. 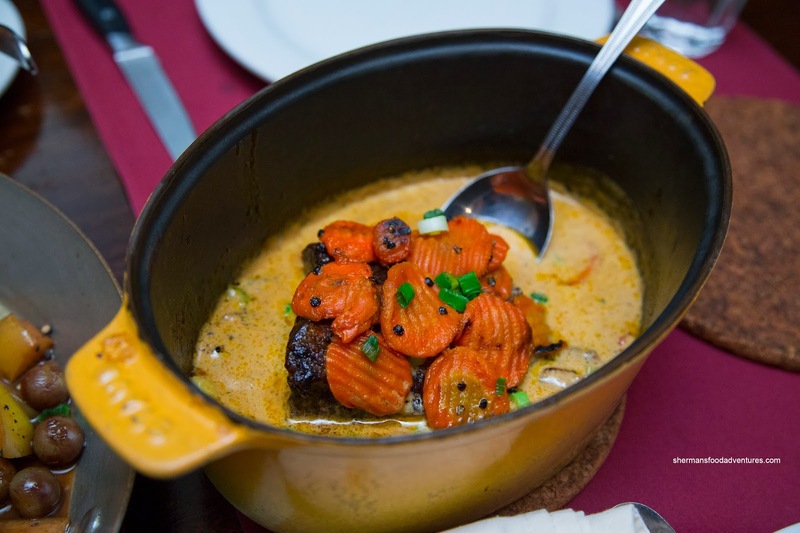 Yet another repeat dish, we had the Beef Short Rib in Peppercorn Sauce. We thought the sauce was money being sinfully creamy and peppery. We actually put the sauce on other proteins in our meal. As for the short rib, it was rich and super moist. The fattiness of the meat combined with the sauce resulted in a heavy combination. 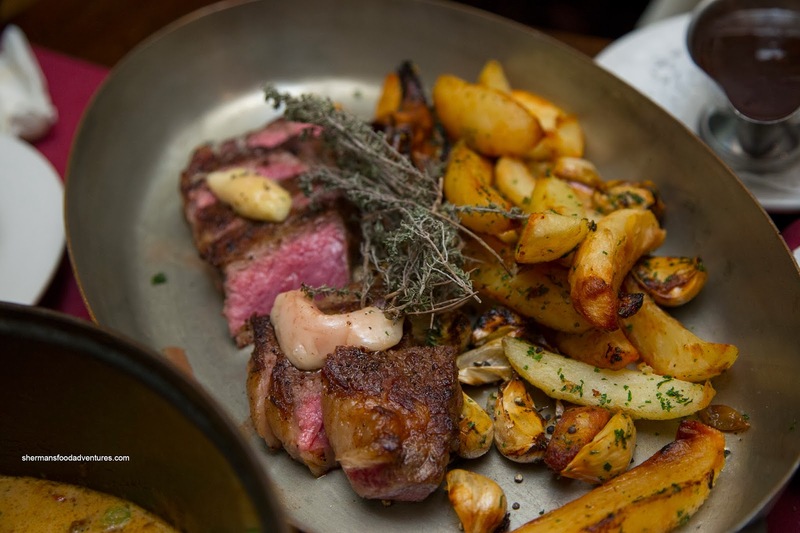 Another familiar item was the Prime Rib with shallots, garlic confit and wedge potatoes. This was expertly prepared as it was a beautiful medium-rare (closer to rare, which is how we like it) with a nice exterior crust. As a result, the meat was super tender, flavourful and texturally contrasting. The accompanying "demi-glace" (it was too oily to be a demi-glace) was rustic and full of red wine flavour. The acidity really complimented the fatty meat. 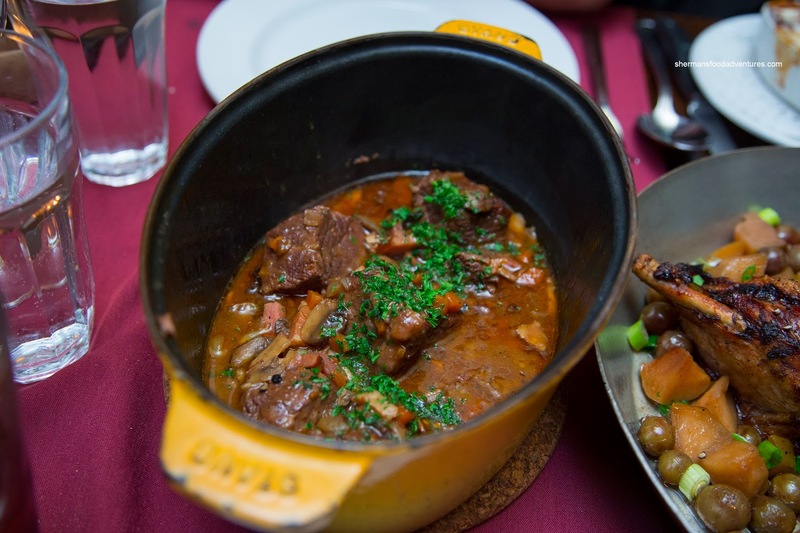 We tried something new this time in the Beouf Bourguignon. The large chunky pieces of meat were somewhat dry and fatty. 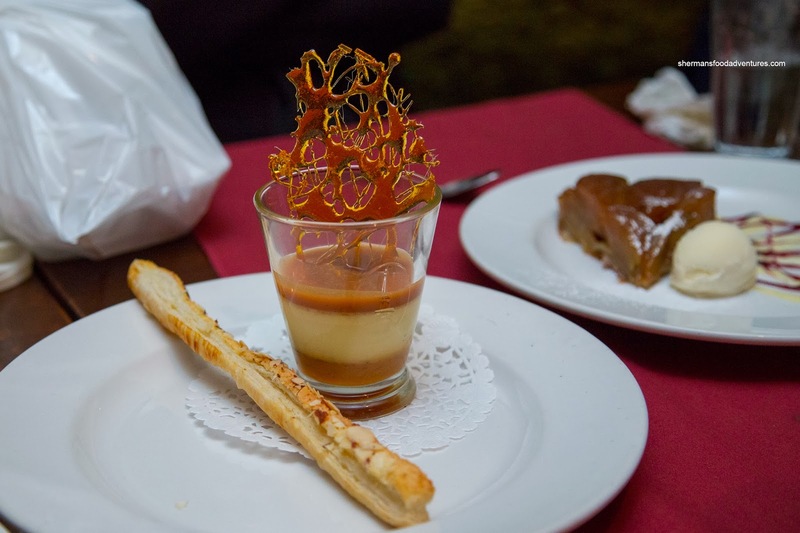 There was a richness and depth to the dish which was comforting and filling. I would've liked the red wine to be more pronounced though. 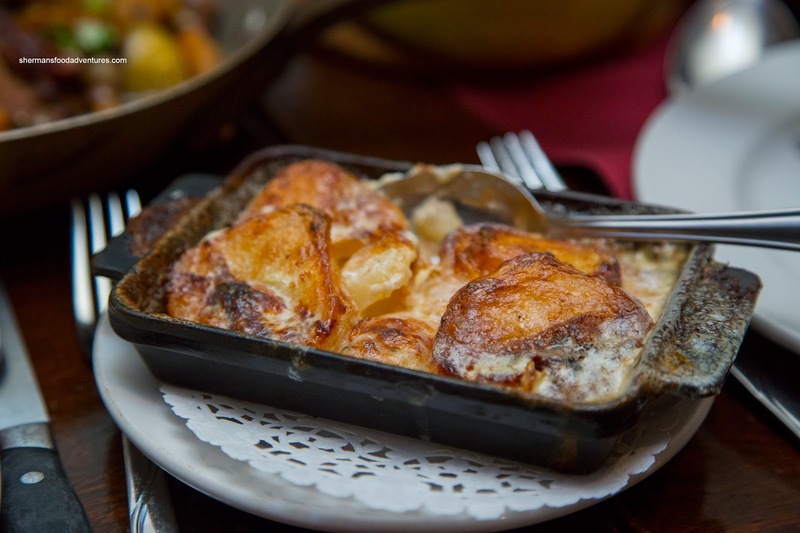 All the dishes came with a side of Gratin Dauphinois (like scalloped potatoes) which was super creamy and rich. We were pretty full at this point and had to pack quite a few leftovers. However, our coupons included dessert for each of us. Hence, we had no choice but to get them (I'm sure this was not a problem for Whipping Girl as she was salivating). 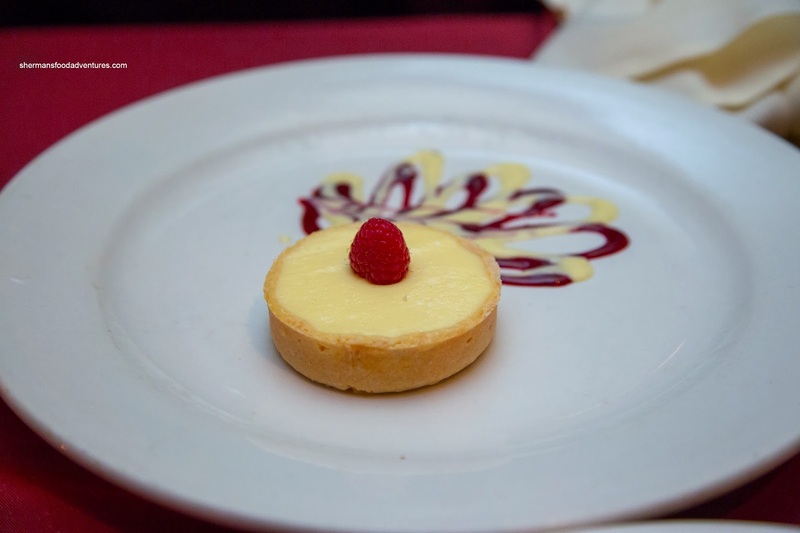 We started with the Lemon Tart. With a very light custard (rather than curd), it was creamy and smooth. I found it tart and pretty sweet. It wasn't heavy at all except for the firm tart shell (which we liked). On the other hand, we universally didn't like the Sea Salt Creme Caramel. It was far too sweet due to the overuse of salted caramel. It completely overwhelmed the egg custard and the whole thing just became a chore to eat. We didn't touch it after the first few spoonfuls. 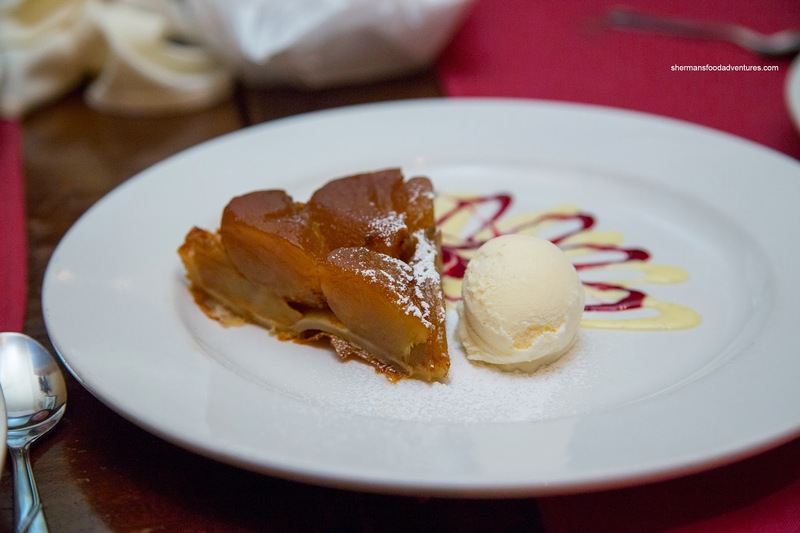 We also had the Apple Tart Tatin that featured large slices of tender apples (which were not mushy nor that sweet). I found the tart crust to be on the softer side, mainly because of the ample amount of apple. Furthermore, the apples themselves were not very caramelized. This was decent, yet unremarkable. 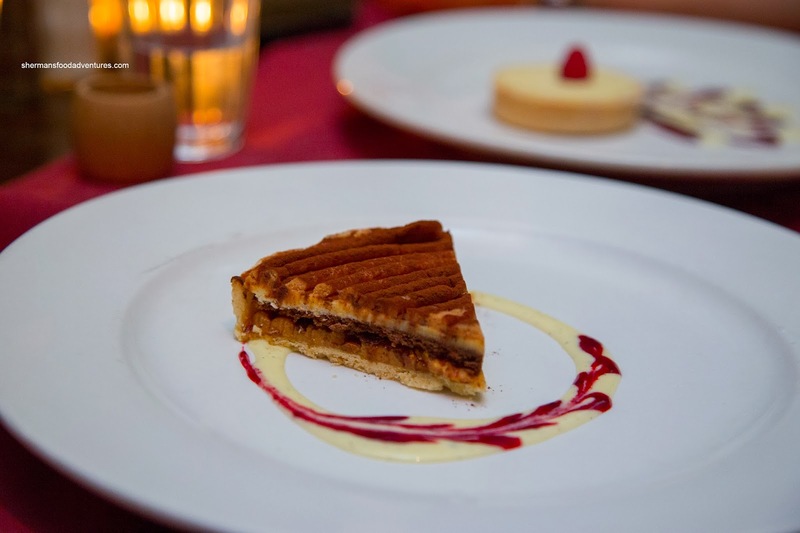 Saving the best for last, the Monaco Tart was definitely memorable. The combination of almonds, marscapone, chocolate and caramel was harmonious and purposeful. It was not as sweet as the ingredients suggested and the textures were complimentary. We all agreed that the meal was pretty good in general (with a few exceptions). But the prices are quite high and are comparable to Downtown establishments. 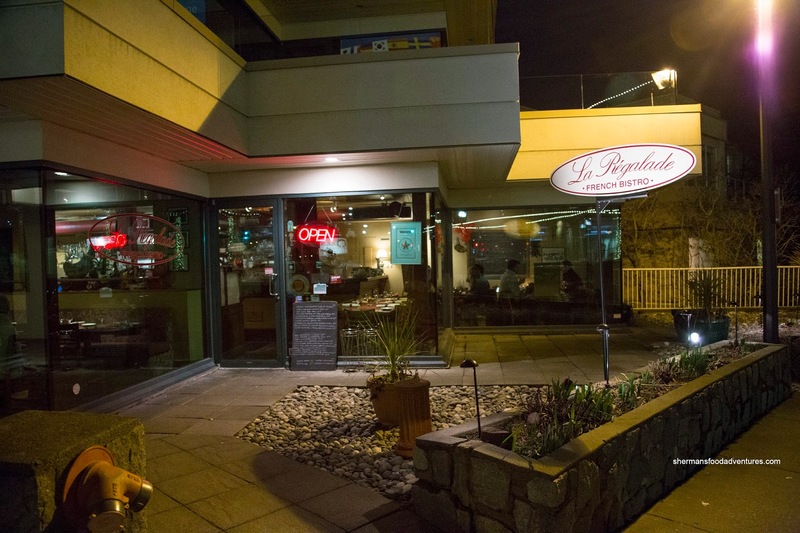 Yes, rent in West Van is not cheap and neither are the ingredients. Depending on what you order, it could very well be worth the price though.